I love dressing up Brody for church each week. 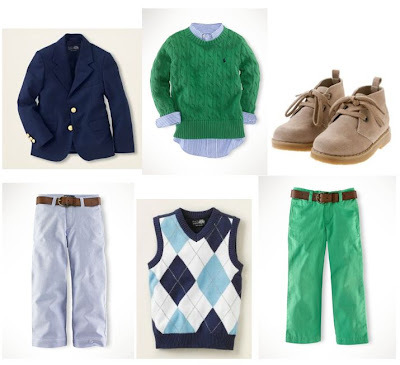 Sometimes I think it's harder to find stylish dress clothes for boys than it is for girls but I think children stores have come a long way. When it comes to dress clothes for Brody I usually lean towards the preppy side. I love the mix of casual and dressy. I love a good argyle vest or a pop of pink. Boys need to stop being afraid to wear pink (that goes for men too). 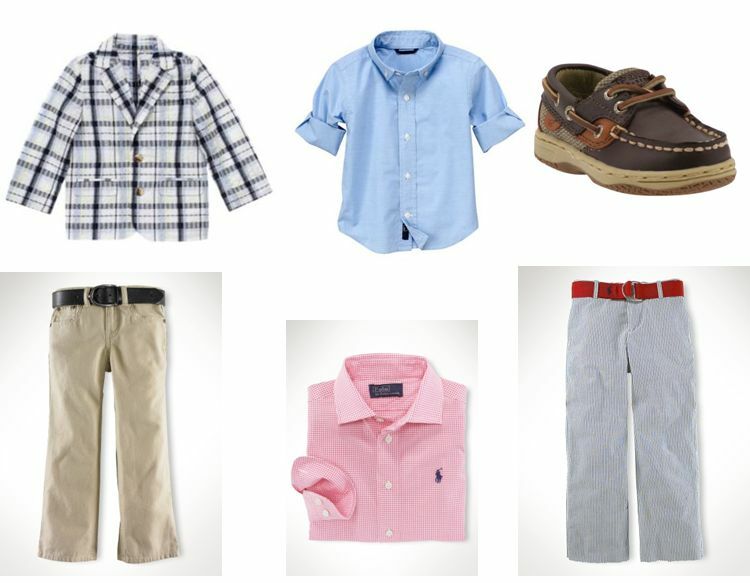 What is your favorite dressy style for boys? cute looks! I love brody's preppy style. He is such a cutie. And I seriously love boys in pink dress shirts. Oh my goodness I am dying. I am adding these to my wishlist for my little guy. I think he needs that blazer for easter. Some gorgeous choices there. In summer my boys usually have some great cargo shorts and a button up shirt for their good clothes and in winter, we generally go for Long Cargoes, again a button up shirt and some kind of vest. We don't really go to many places where they need to dress up.